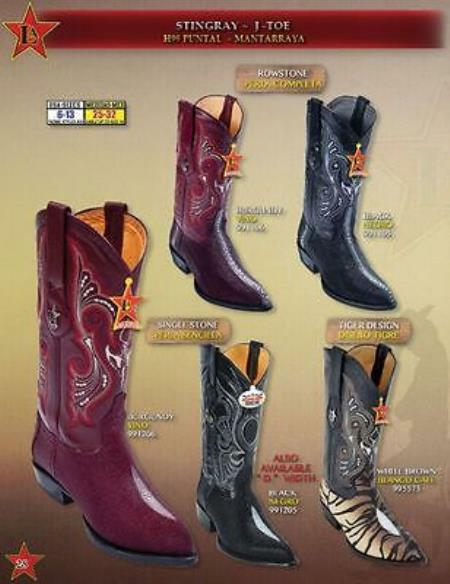 Los Altos exotic boots are very popular all around the world as its trendy designs are very unique and different from the other brands. These shoes are made out of exotic skins of ostrich, crocodiles, alligators shoes, python, caiman, and stingray and many more. These shoes are available for men, ladies and even for kids and finding the exact size is not a problem at all. Exotic boots are known for its longevity and the ability to withstand all kinds of extreme temperatures and deterioration. Boots with round toe, long toe, and snip toe are also available in this type and the shaft size also varies accordingly. One can find both formal as well as informal type of shoes in this brand and formal shoes are very glossy and shining and one would never take their eyes off from your shoe. They are usually used in proms and other special occasions like wedding and other functions. Los Altos shoes are found in plenty at Mensusa and one can purchase these high quality shoes for a considerable price.